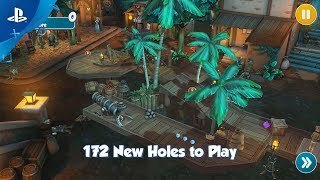 Pinball FX3 is the BIGGEST, most COMMUNITY-focused pinball game ever created. FREE backwards compatiblity! Bring your previous Pinball FX2 / Zen Pinball 2 purchases with you to Pinball FX3 at no charge! 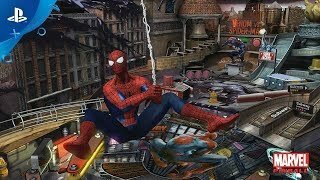 Pinball FX3 features the best pinball library available, with tables based on Star Wars, Marvel, Aliens, Bethesda, Family Guy, Telltale's The Walking Dead and more! 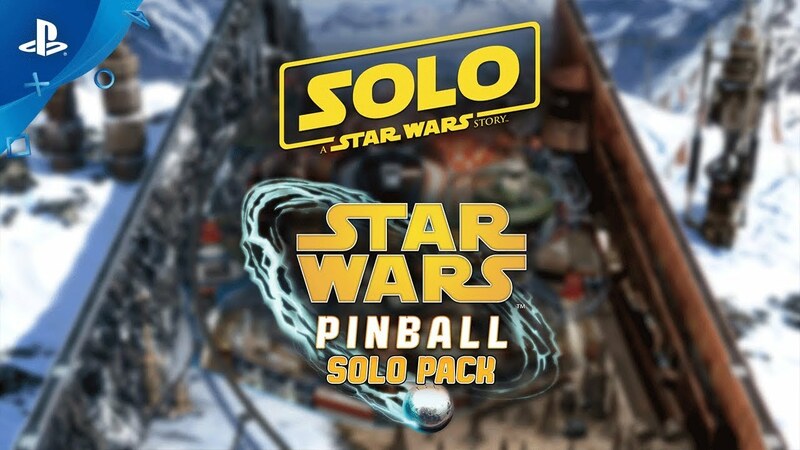 Once you start playing Star Wars™ Pinball: Solo, you’re in this life for good! This pack includes three exciting tables inspired by the blockbuster film. Experience Han’s first meetings with Chewbacca, Beckett, and Lando Calrissian, and take part in epic film moments with the breakneck pace only Star Wars Pinball can deliver. For the first time ever in a video game, pilot the Millennium Falcon to make the Kessel Run in less than 12 parsecs! Play your role in the grand heist on the Conveyex train on Vandor. Lando invites you to join him on the adventures of his life, from sabacc-playing swindler to Sarlacc-escaping Rebel hero. 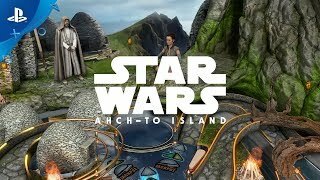 Beat Han Solo at sabacc ...and escape the Sarlacc with his help! War! Take command of the Imperial forces and conquer Mimban. Lead attacks against the hostile natives and use anything at your disposal to march your troops to victory. FREE backwards compatibility! Bring your previous Pinball FX2 / Zen Pinball 2 purchases with you to Pinball FX3 at no charge! Multiplayer matchups, user-generated tournaments and league play create endless opportunity for pinball competition. 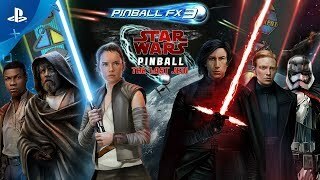 Pinball FX3 is home to the most exciting pinball library, with tables based on the biggest brands in entertainment including Star Wars™, Marvel, Fox, Bethesda, Telltale's The Walking Dead, Portal and more! 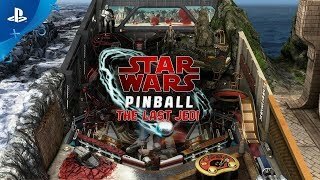 The Star Wars Pinball: The Last Jedi pack offers two beautifully crafted pinball tables based on the latest installment of the Star Wars saga. Play through dozens of thrilling game modes based on key moments from the movie, with action featuring Luke Skywalker, Rey, Finn, Chewbacca, R2-D2, BB-8 and Captain Phasma—even Porgs! In collaboration with Universal Brand Development, Zen Studios celebrates the 25th anniversary of Jurassic Park™ by releasing a three-pack of prehistoric pinball perfection for Pinball FX3. 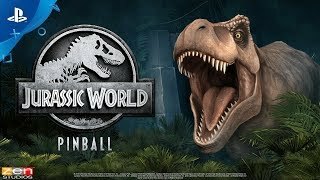 Jurassic World Pinball is comprised of three thrilling tables themed around the history and lore of the iconic film franchise: Jurassic World Pinball, Jurassic Park Pinball and Jurassic Park Pinball Mayhem. 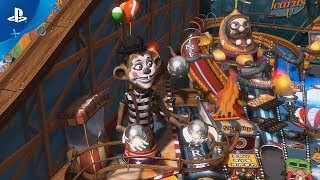 Carnivals & Legends is a dynamic table pack that features the thrilling Zen Studios-original pinball tables “Adventure Land” and “Son of Zeus." 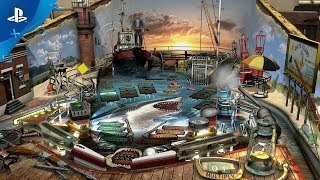 Universal Classics Pinball™ combines three captivating tables based on the blockbuster films Jaws™, the Back to the Future™ trilogy, and E.T. the Extra-Terrestrial™. 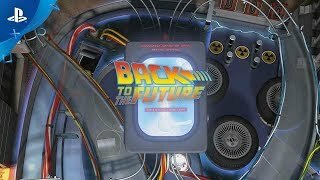 Players can get behind the wheel of the DeLorean time machine and travel through different eras of Hill Valley to fix the space-time continuum on the Back to the Future table; take on the terrifying great white shark on the Jaws table; and go on an adventure with Elliot as he helps E.T. contact his spaceship and return to the stars on the E.T. the Extra-Terrestrial table! Pinball History in the Making! Zen Pinball has been serving the PlayStation community since the very early days of PSN in May of 2009 (8 years ?!?! ), and the time has come to go next level and take a major step forward in the pinball evolution. 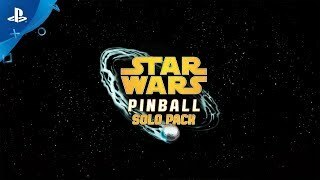 Pinball FX3 will now be the Zen-supported pinball platform on PSN – replacing Zen Pinball 2, which is currently available on PS4. 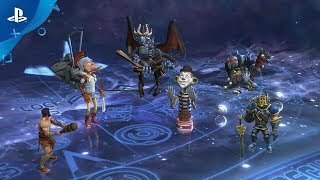 Pinball FX3 is a massive game packed full of new features designed to turn pinball into a true community experience on PS4. Built around multiplayer matchups, user-generated tournaments and league play, Pinball FX3 is now so much more than just leaderboard rankings – the game elevates the competitive pinball spirit that has thrived since the early days of pinball more than a century ago. Not so hot with the flippers? We have heard from so many people that they feel lost when trying to play pinball, not really understanding the game or objectives. We have thought about you along the development process and have designed deep single-player modes that will help you become a better pinball player! 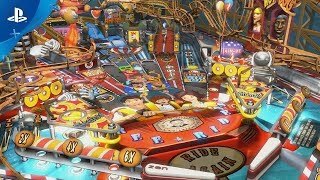 Pinball is pretty easy to understand at a high level, but it takes time to develop your skills, and even longer to fully uncover all of the deep secrets packed into each table. You have a ball and two flippers. Keep the ball in play by hitting the ball before it drains down the middle or via the outlanes. Your objective? Get the BIGGEST score possible! © 2018 Universal Studios and Amblin Entertainment, Inc. Jurassic Park, Jurassic Park Mayhem, Jurassic World and all related marks and logos are trademarks of Universal Studios and Amblin Entertainment, Inc. Jurassic Park films © Universal Studios and Amblin Entertainment, Inc. Jurassic World films © Universal Studios, Amblin Entertainment, Inc. and Legendary Pictures. Licensed by Universal Studios. All Rights Reserved.